FSA Experience Seminar is being hosted by Tampa Bay Area highly effective teachers and administrators in efforts to support parents and their child(ren) to effectively prepare for FSA. There will be example practice test questions, test taking strategies. Every year our children are expected to sit for the Florida Standardized Assessment (FSA). Parents, do you know why the FSA is important? Do you know your child's current FSA Score? Do you know what that score mean? Do you know their are other options if your child doesn't successfully pass the FSA? 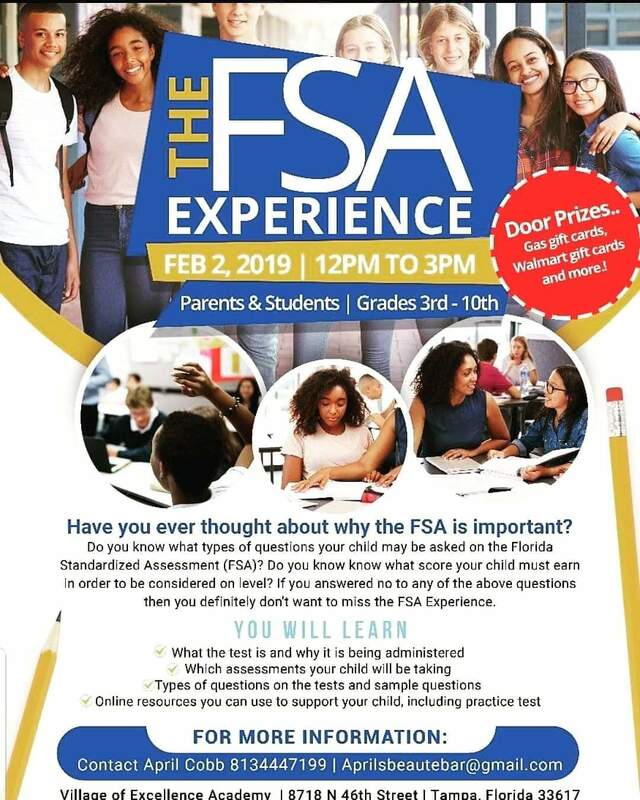 Join us as we provide essential information about the FSA that could help you and your child be as prepared as possible.